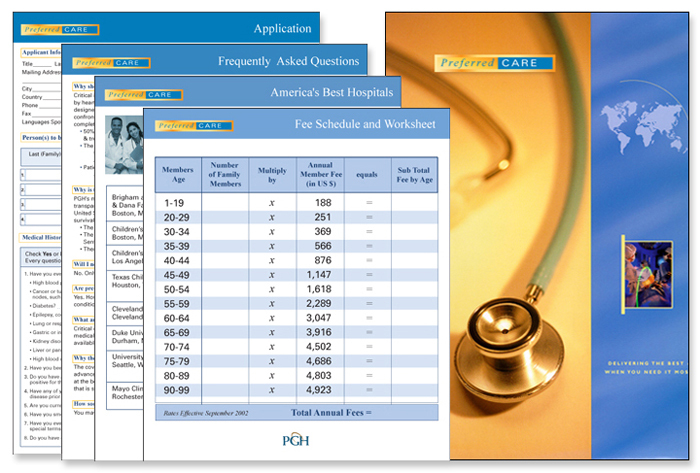 Preferred Global Health Preferred Care collateral. 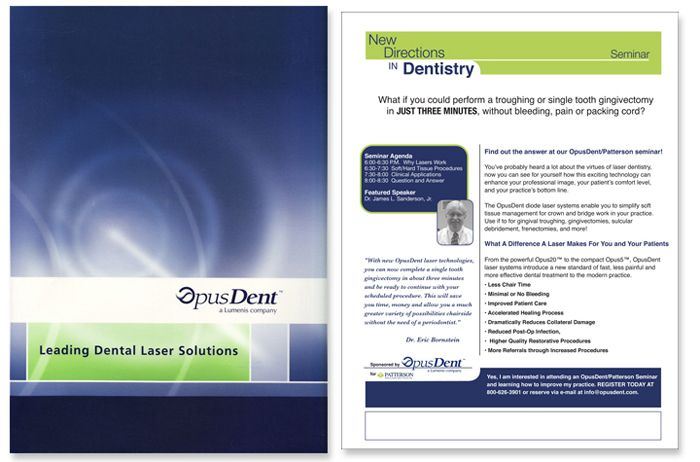 My Role: Design logo, folder and inserts. 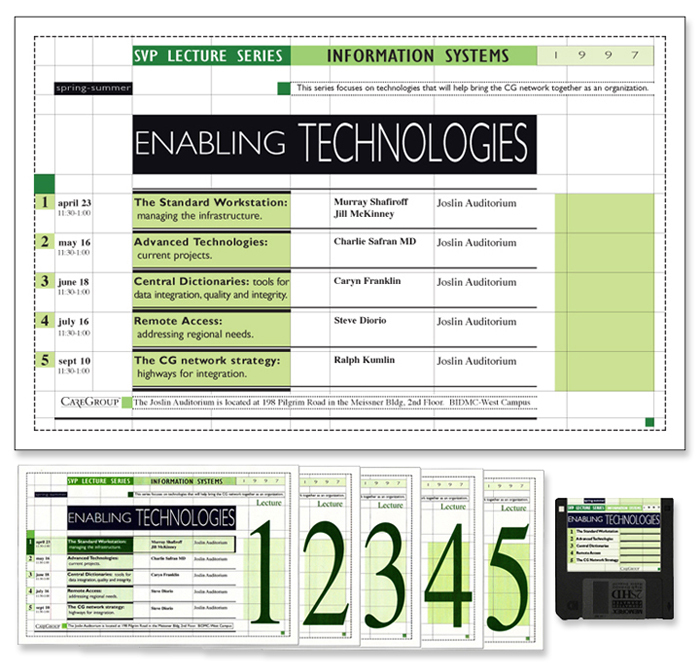 My Role: Design a seminar flyer consitent with existing promo materials. 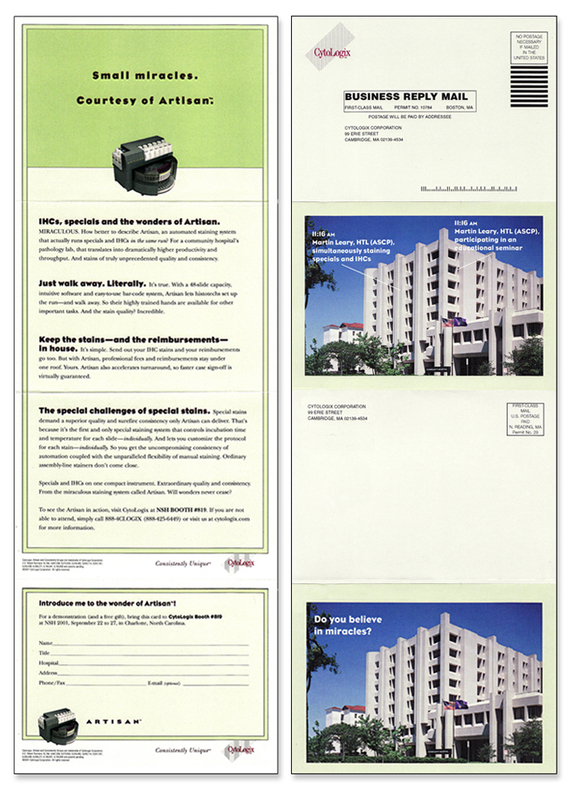 My Role: Design a direct mail promotional piece. 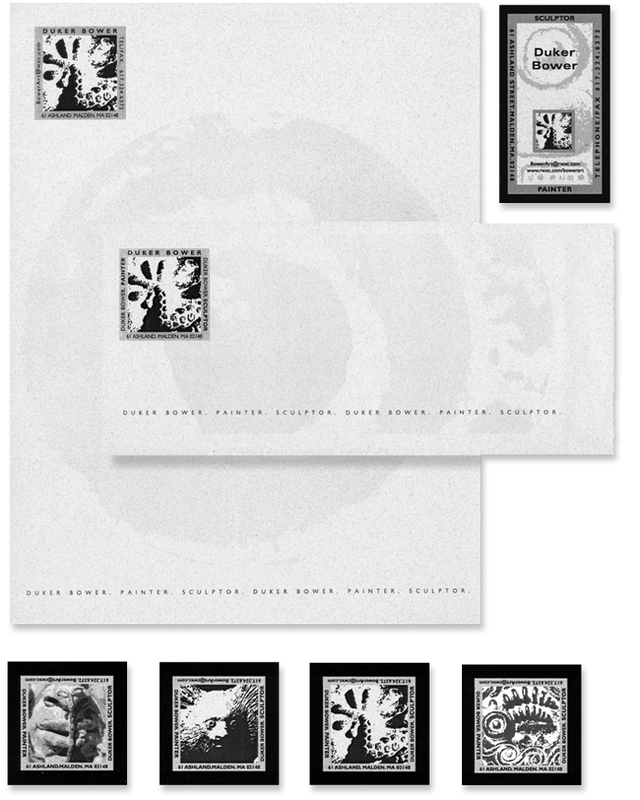 My Role: Design poster and postcards for internal distribution. 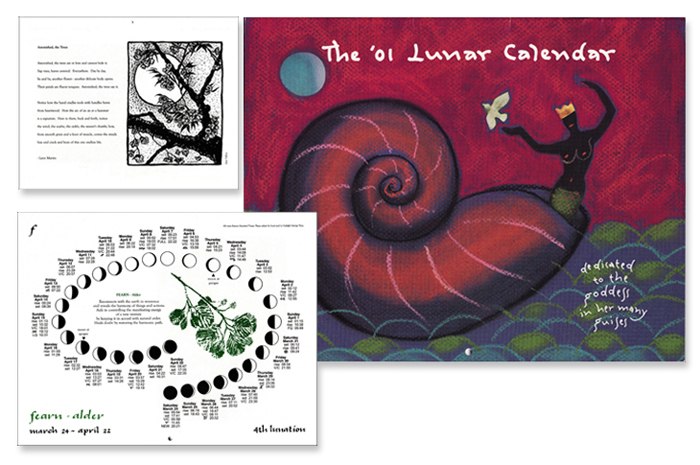 My Role: Design lunar calendar and produce new Quark electronic files from paste-up layouts. My Role: Design and identity system, catalog, tags featuring his sculptor. 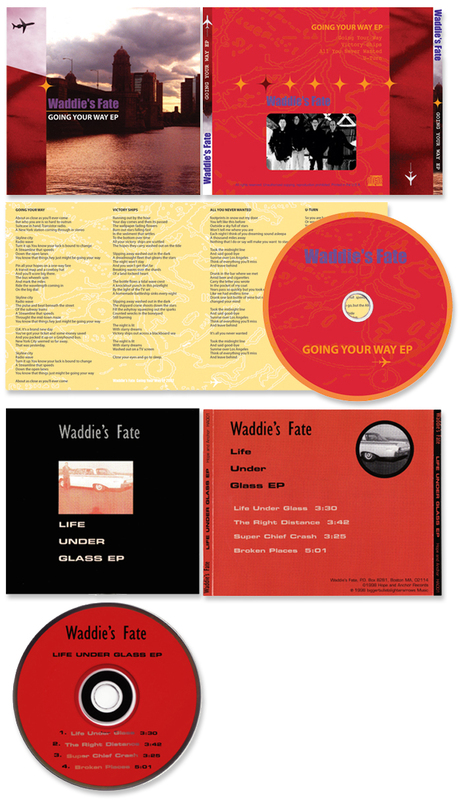 My Role: Design and art direct local band's 2nd compact disc.